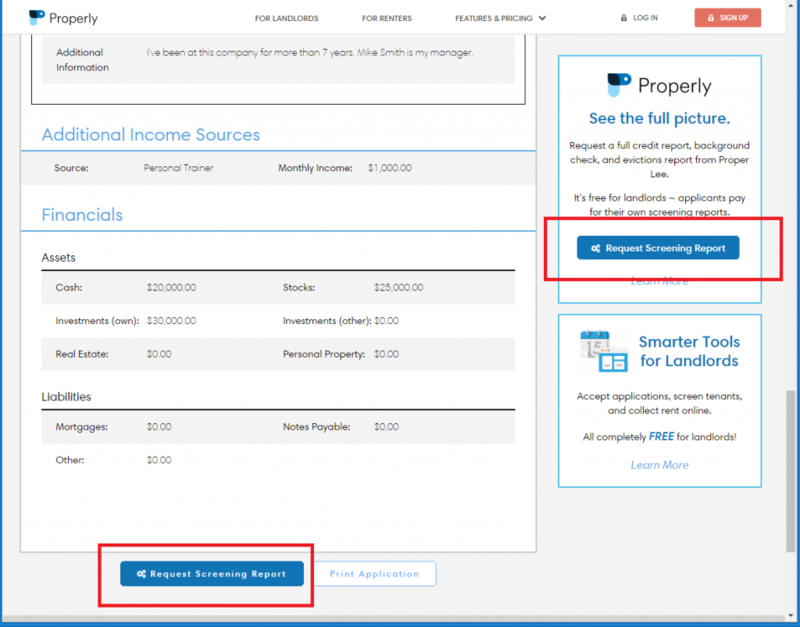 Properly’s renters have been using the Renter Profile to eliminate the need for repetitive data entry when submitting applications to multiple rental listings. 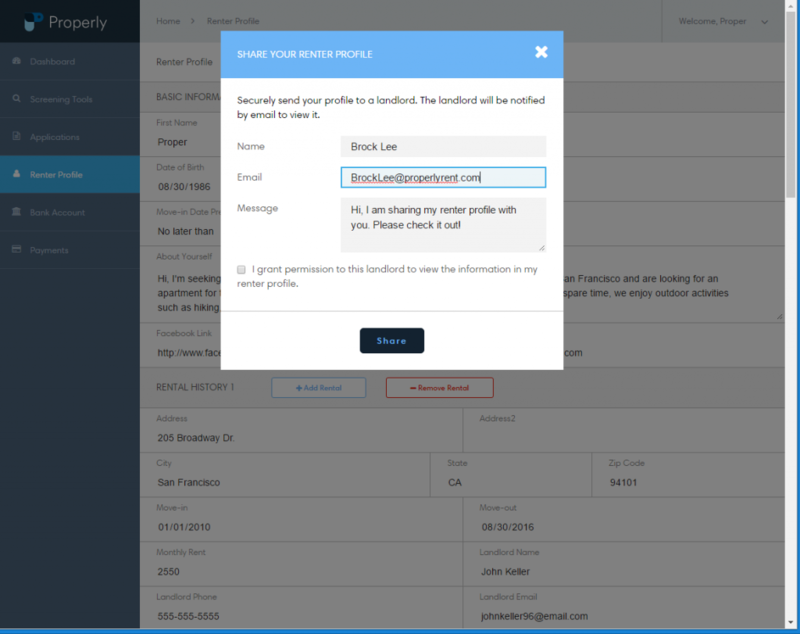 Properly’s renters can now share the Renter Profile to any landlord. Here’s how it works. 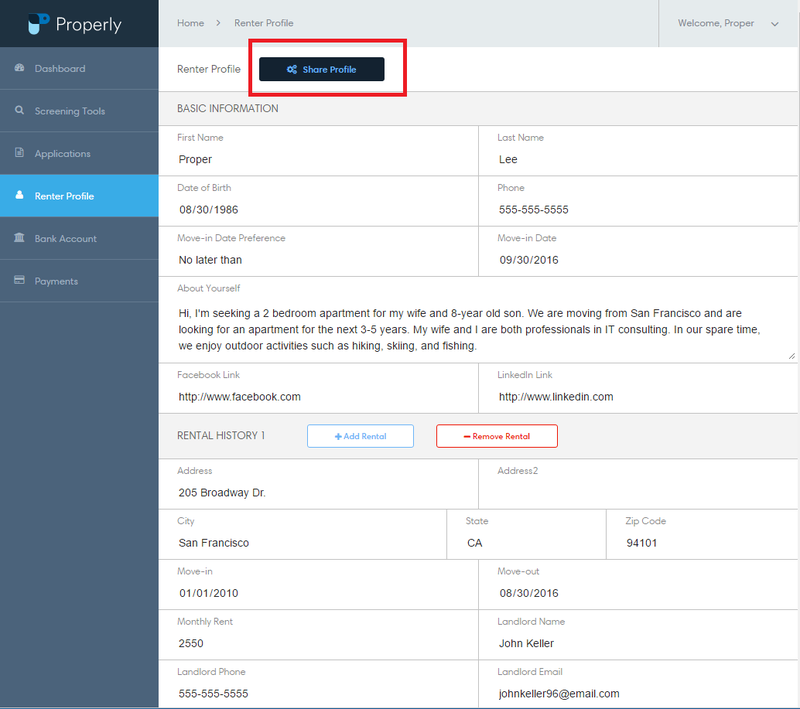 The renter fills out the Renter Profile and shares to a landlord by entering the landlord’s email. 2. 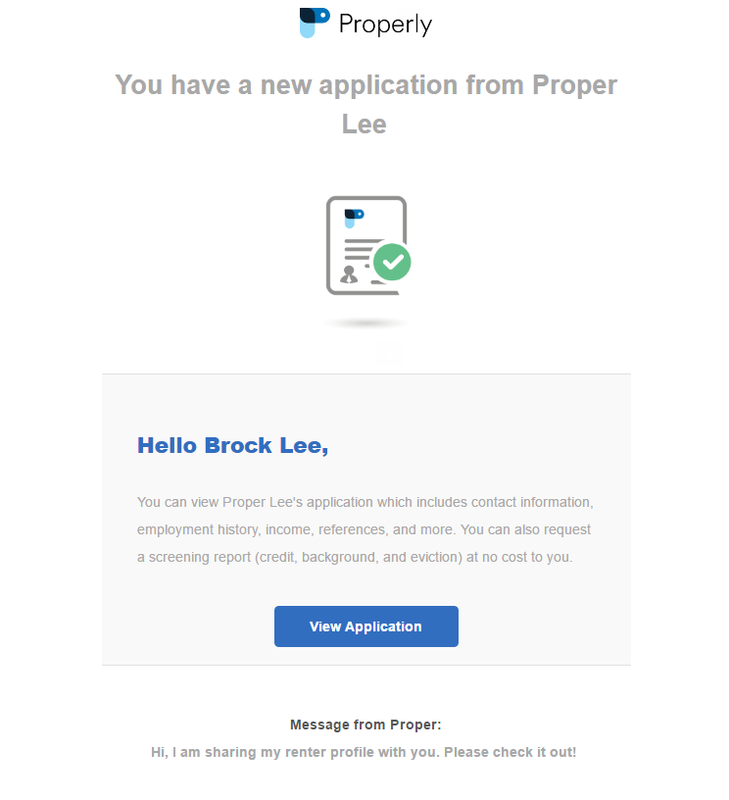 The landlord is notified by email of the submitted application. 3. 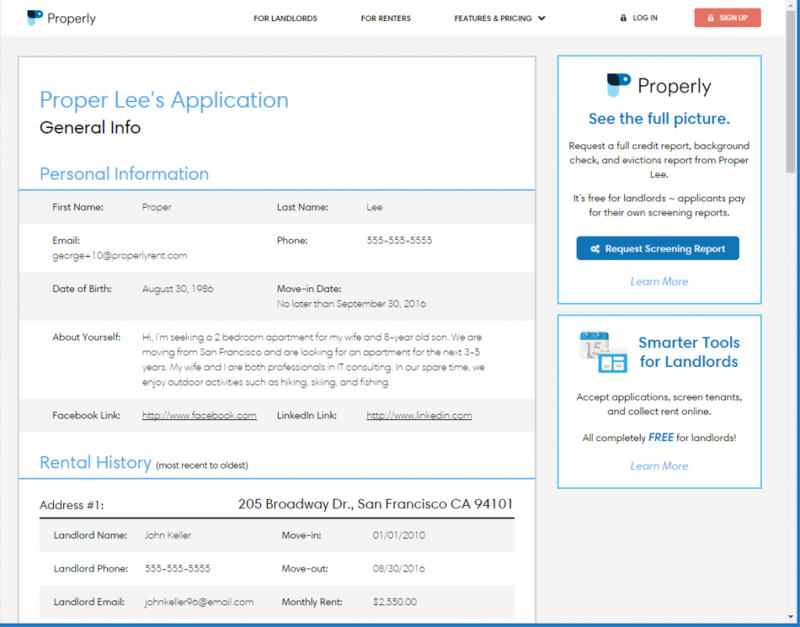 The landlord can view the application immediately without signing up for an account. 4. The landlord has the option to request a screening report. 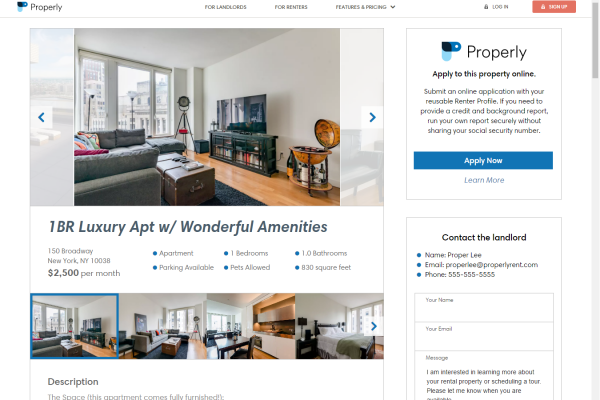 Renters no longer have to wait for application links or feel pressured to ask landlords to sign up for Properly. Landlords can view applications with a single click. Requesting a screening report is completely up to the landlord. 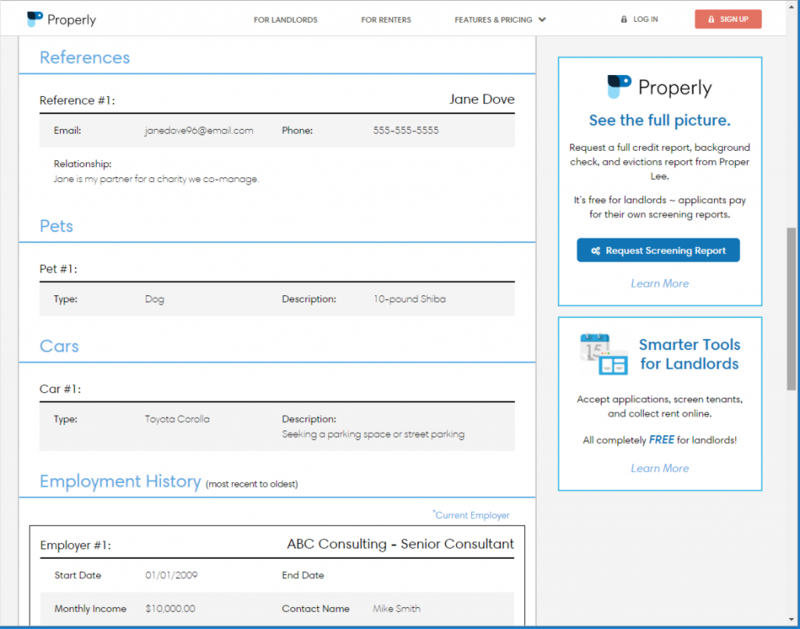 At Properly, we are tackling each rental activity and designing a process that is simple and easy for landlords and renters. We will be launching additional new features over the next several months. More to come!